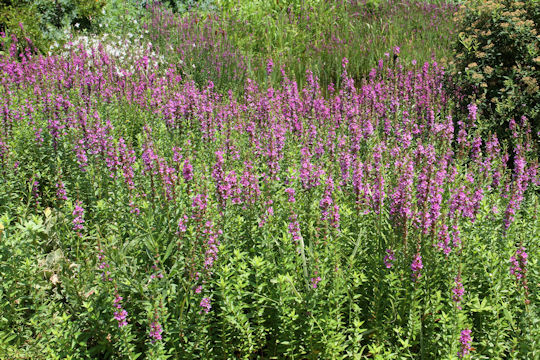 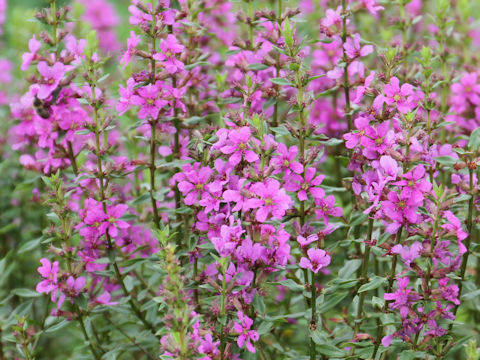 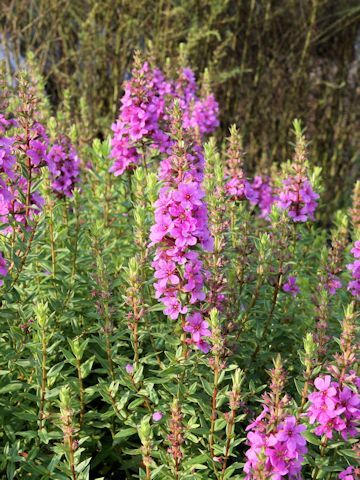 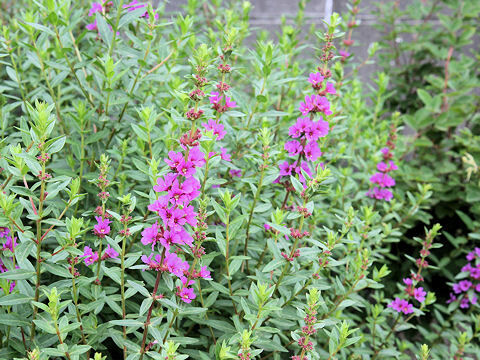 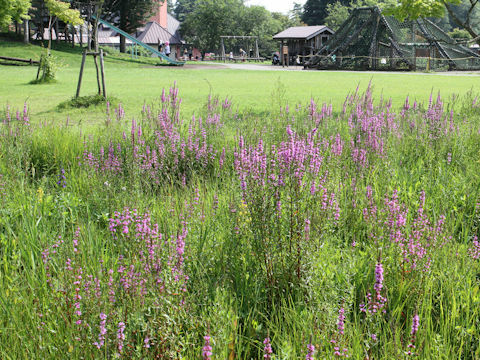 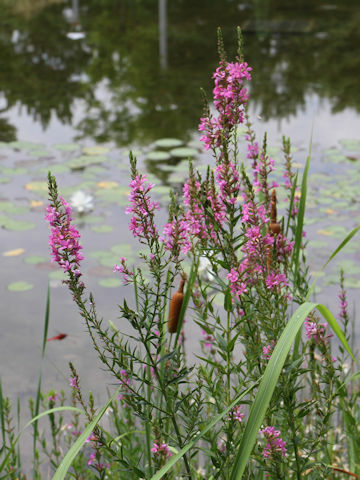 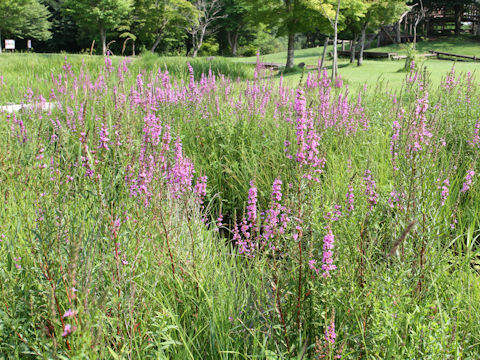 "Miso-hagi" (Lythrum anceps) belongs to the Lythraceae (the Loosestrife family). 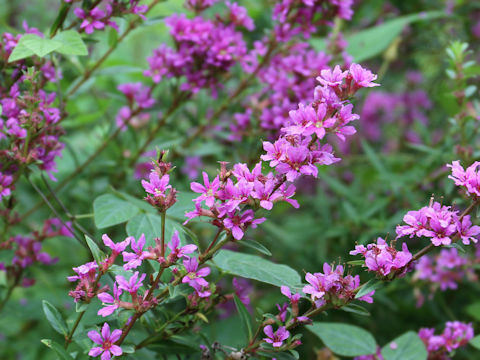 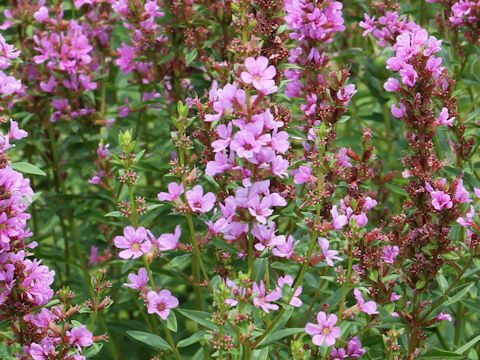 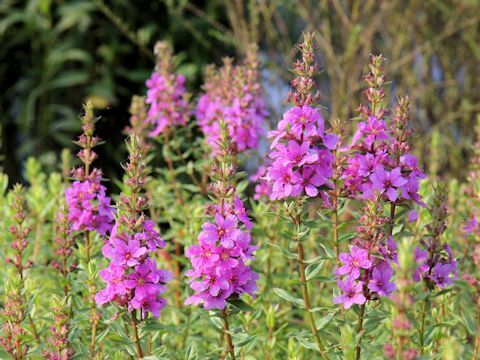 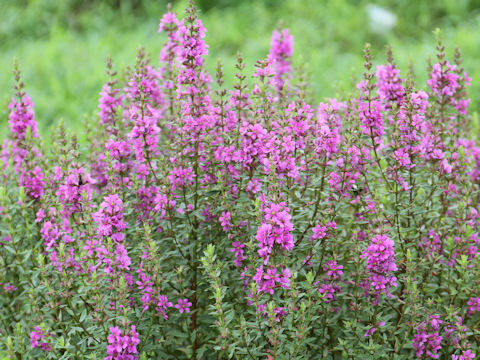 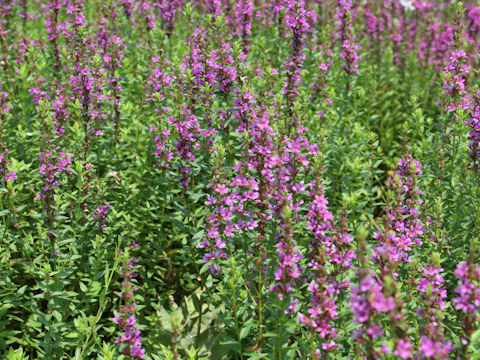 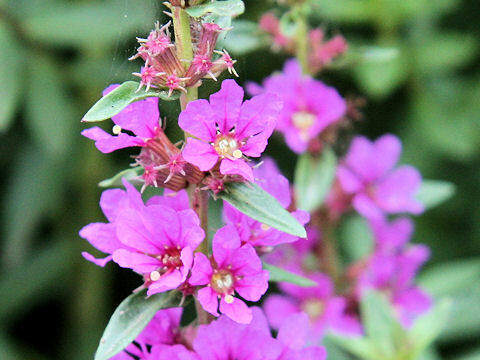 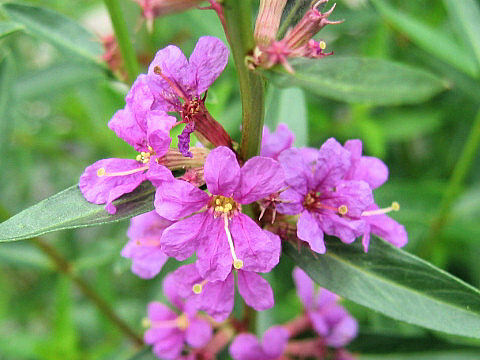 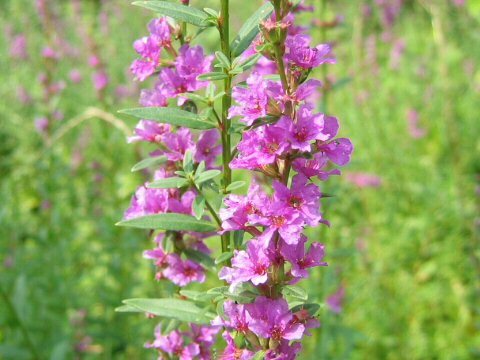 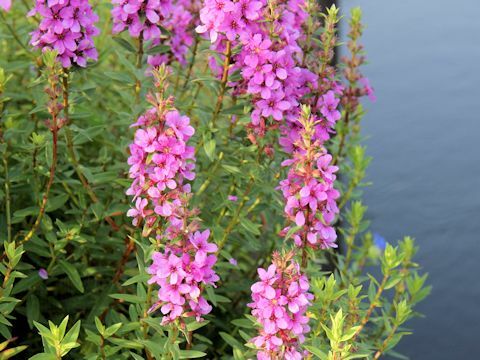 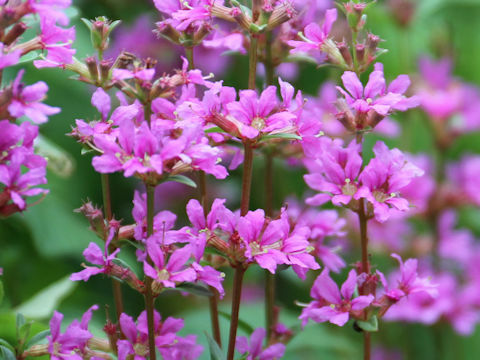 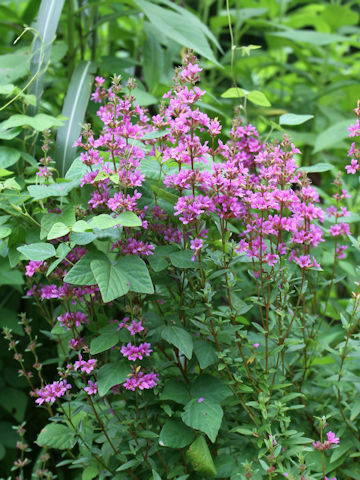 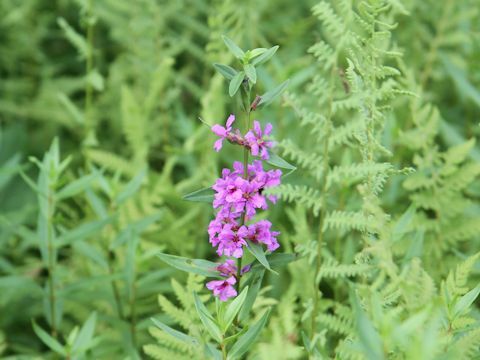 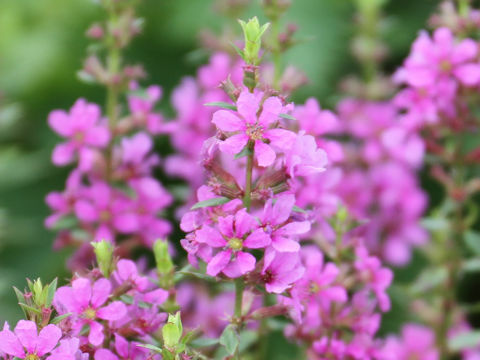 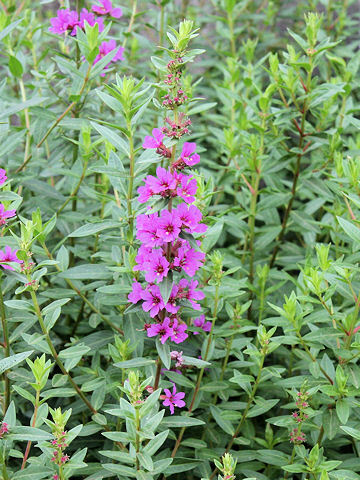 It is a perennial herb that is native to Japan and the Korean Peninsula. 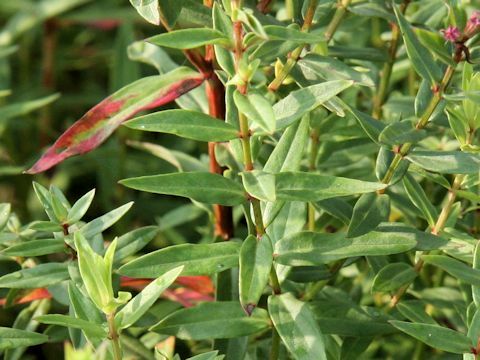 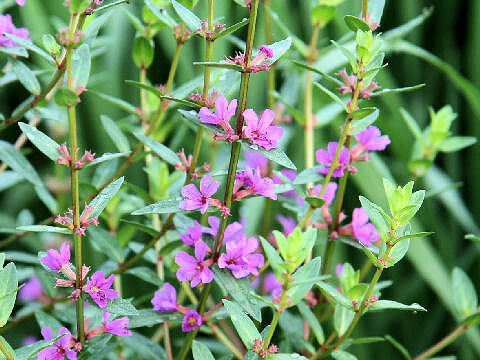 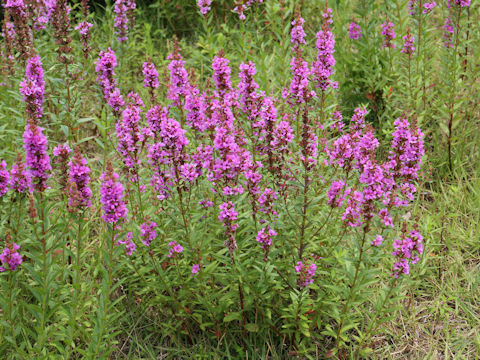 This herb grows in marshes and rice field linches, and it can reach 50-100 cm in height. 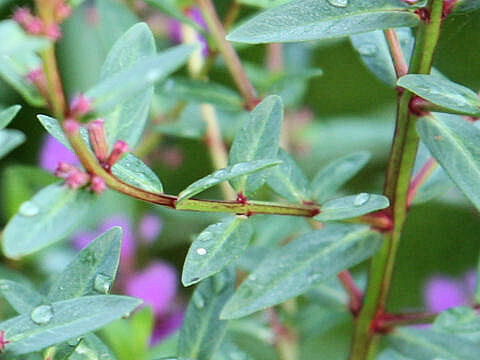 The leaves are lanceolate and decussate. 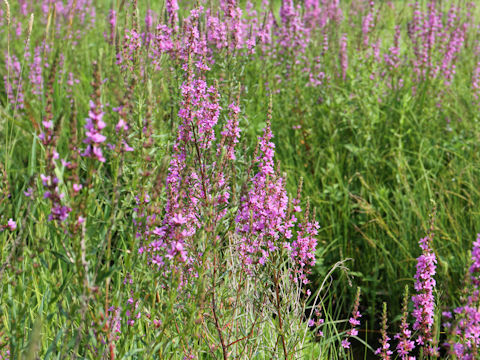 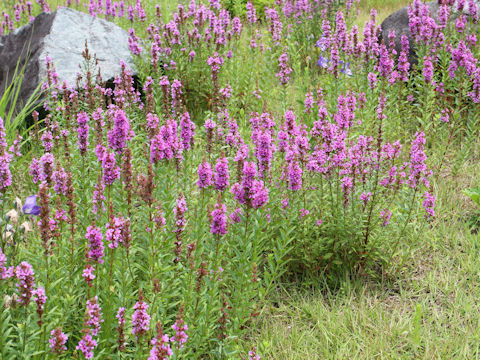 The spikes are borne on the apices and bloom magenta flowers from July to August.